New & sealed AOpen H500C midi tower ATX case w/ 300W AOpen power supply. 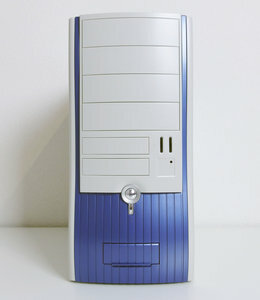 Durable midi tower case, in white & blue colors, for use with ATX or mATX pc motherboard. Ideal for a period correct 2000's pc. With 20-pin ATX power connector. With accessory set that includes feet, I/O shield, speaker, drive rails and screws. Pictures show an opened example, you'll get a new sealed one.